It doesn’t matter where you live. Creating a garden at home is one of the most peaceful and precious things that you can do for yourself. A garden is one thing that can change an otherwise uncomfortable environment into a personal sanctuary of peace and calm. Even a simple and small garden can bring you a sense of joy and pleasure. Your home is one of the best places to create a personal garden oasis. It could be a back, front or side yard garden. 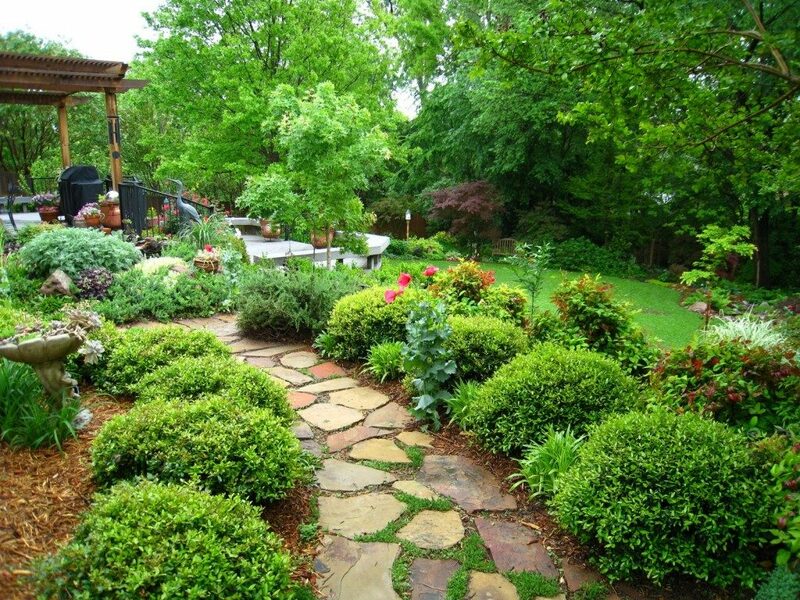 Basically, any patch of land around your home can be transformed into a simple garden. There is also the option of creating an inside garden, but this requires that you have the right amount of sunshine. Put an herb garden next to a window, or make a vegetable garden in a room filled with bright sunshine. Plenty of plants can grow inside, but make sure that your windows don’t filter out UV light. But then again, you could always put a UV light system in the room. Just make sure that you give the plants lots of water. A backyard box garden is ideal when creating a garden. This is great for kids too. Not only can you teach them how to garden, but this is a perfect way to spend quality time with them. Create a raised garden with plenty of crops by using timbers. Make sure that your crops are watered on a regular basis. Use a water sprinkler if you don’t have the time to do this manually. Also, create a few tarps for your raised garden. These will be handy during the freezing cold of winter. Tarps can also be used during hail or snow storms. If you have a large plot of land, create your garden in the sunniest spot possible. It is imperative that your garden gets plenty of water and sunlight, but also make sure that it has the right foundation. Till the soil and ensure that it has loads of nutrients. Your local garden shop should supply different brands of fertilized substrates. Start by blending manure with dirt. A lot of gardeners would suggest using potting soil too. A garden needs these things to grow. Also, consider starting a compost so that you can add natural nutrients to your garden throughout the year. Put the compost in a far back corner of your yard. This should help to cut down on the smell. Keep adding things to the compost, and make sure that you turn it over regularly so that the compost components turn into nutrient filled dirt. Put this nutritious mixture on your plants. You’ll be amazed at how well your garden grows over time. The crops will be plentiful and properly nourished. Creating a garden doesn’t have to become a major task. It is just a matter of starting small in a location that is near your home. Put a garden box in your window. This is a great place to start small and grow herbs and vegetables for family meals. Not only will this provide nourishment for the family, but it is a great way to get rid of stress after a long day at work. Just plant herbs and vegetables that you would normally buy at the grocery store. Don’t over think the process. You will get the hang of gardening fairly quickly. As you learn more and more about gardening, you will learn how to grow different types of plants. Some plants will do better than others, and this depends on the environment. As you continue gardening you will learn which plants thrive better in your environment. Your goal is to create a home garden that brings plenty of joy. Want to learn more about gardening? Head over to Build Great Farms and enrich your knowledge.